Posted on July 31, 2015	by Katy K.
I am on an internet-free vacation right now, but my blogging friend Maureen of By Singing Light has kindly written a wonderful post on her favorite heroines. Thank you so much for your post, Maureen! The inspiration for this post is definite the great series my friend Brandy has been writing on her favorite heroines. So I set out to write down my own favorite heroines! And it turns out that I have very many. In the interests of space (and Katy forgiving me) I pared my initial list down to ten (10!!) names. 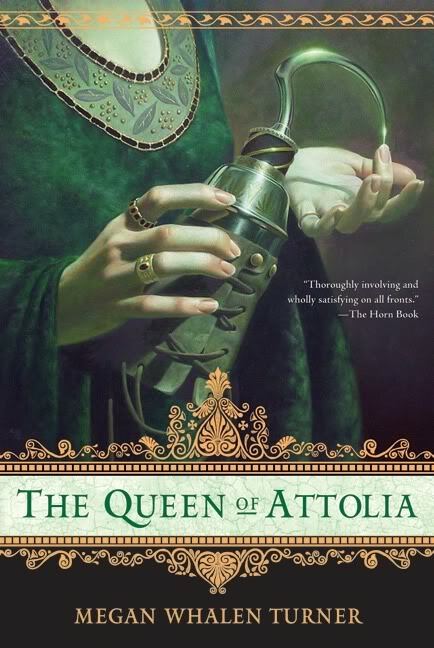 Irene Attolia from Megan Whalen Turner’s Queen’s Thief series: Attolia is one of my favorite characters ever, but part of what makes her so interesting is that she starts off as the antagonist. She does horrible things, and yet MWT writes her character with such understanding and delicacy that by the end of the second book, I had fallen in love with her too. Harriet Vane from Dorothy Sayers’s Lord Peter Wimsey series: I have a tag on Tumblr that says, “Harriet is the best” and that pretty much sums it up. It’s astonishing to remember that when I first read the Lord Peter books, I resented her for Peter’s sake. Now I admire so much her stubborn integrity, her sheer Harrietness. 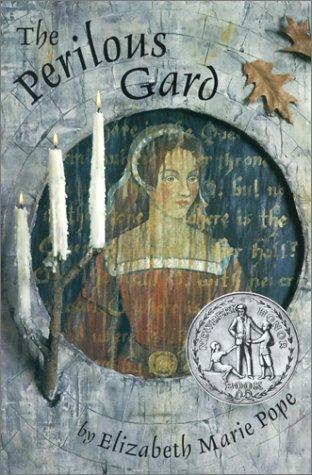 Kate Sutton from Elizabeth Marie Pope’s The Perilous Gard: I have loved Kate ever since I first read The Perilous Gard in middle school. She’s fierce and stubborn, but she’s also brave. She drags Christopher, kicking and screaming, into hope. And she understands, in some way, the Lady Under the Hill. Goewin from Elizabeth Wein’s Aksum series: I’ve talked a great length about how much I love Wein’s Maddie and Verity and Rose. But I wanted to mention Goewin because I think she’s a fantastic, complex character. She has an amazing combination of love and ruthlessness that comes out in the series. Kamala Khan/Ms. Marvel from G. Willow Wilson’s Ms. Marvel comics: I love Kamala for several reasons. She’s hilarious–she has a great sense of humor that I totally believe from a teenage girl. She’s conflicted about her sudden abilities, and yet she takes on the responsibility. And I love the way her relationship with her culture & faith have been written. Maskelle from Martha Wells’s The Wheel of the Infinite: Maskelle is a fantastic character, and one who’s all too rare. She’s older than many women in fantasy. She has power and knows how to use it. She has regrets, but she is also determined to make things right. And in the end she knows her own mind & her own strengths. Delphine Gaither from Rita Williams-Garcia’s Gaither sisters trilogy: Oh, how I love Delphine! I love all three Gaither sisters, but Delphine is my very favorite. 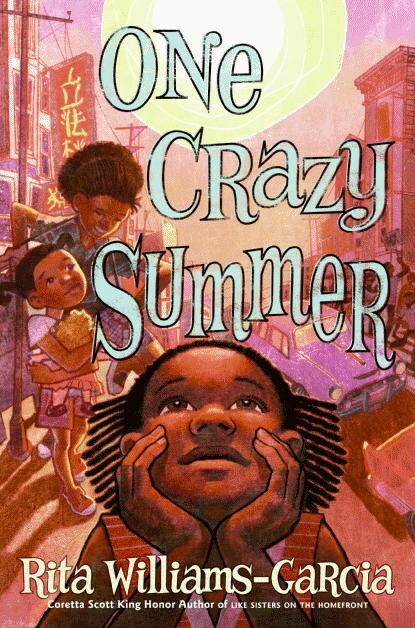 Probably partly because I’m an oldest child and think Rita Williams-Garcia did a great job of showing that relationship. But mostly just for herself, her wonderful, vivid, thoughtful self. Tiffany Aching from Terry Pratchett’s Tiffany Aching series: I didn’t find Tiffany until fairly recently, but she quickly became one of my favorites ever. She’s kind, she gives of herself, she takes care of people, and yet she’s the furthest thing from self-sacrificing or doormatish that I can think of. She’s fierce when it’s needed and powerful when that’s needed too. NIMONA from Noelle Stevenson’s Nimona: Nimona is a fascinating character. She’s a shapeshifter in more ways than one, and yet she’s also undeniably herself. She can be hurt and angry, but she can also be funny and even silly. I found her story beautiful and heartbreaking and hilarious all at once. Sophie Hatter from Diana Wynne Jones’s Howl’s Moving Castle: Sophie is one of those characters that I just instantly loved, from the very first page. She’s prickly, stubborn, kind, and brave. She doesn’t know her own strengths, and yet she does. I love how fiercely competent she is & yet how she can also push people in the wrong directions. She’s so wonderfully human. 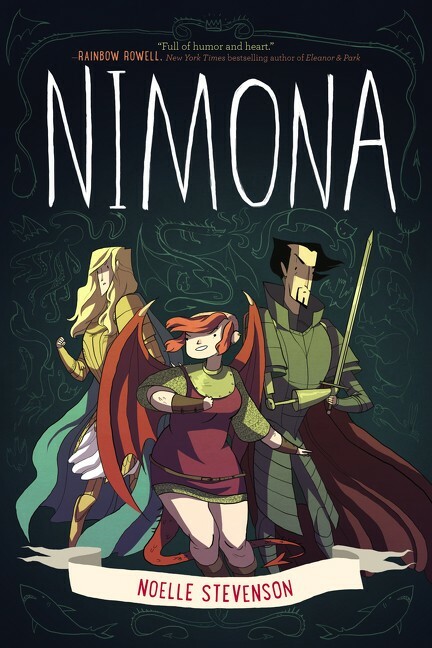 I am somewhat startled to find that I have only read four of these – but since I also love Irene, Tiffany, Nimona and Sophie, I think I need to read all the rest of these as well! Who are your favorite heroines? This entry was posted in Books and tagged bibliography, guest posts, teen fantasy. Bookmark the permalink.